The feature of our High Performance Multi-Effect Distillation Machine is Advanced structure, high heat transfer efficiency, energy-saving effect is remarkable Advanced structure, high heat transfer efficiency. No need additional cooling water. The equipment surface all pass passivation disposal. Using high quality parts, simple and reliable operation control. 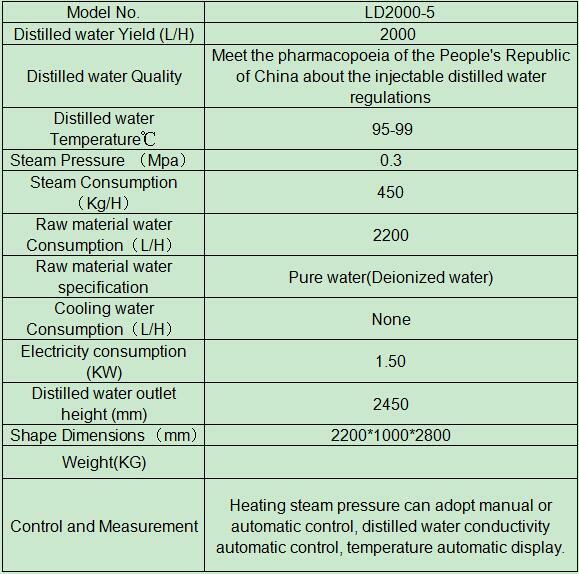 Adopt two-stage separation and appropriate steam flow velocity and high quality(304) 316L stainless steel wire mesh, make the second steam clean, distilled water quality stability. Adopt Teflon sealing gasket, no metamorphous, no pollution water quality.Clean dead angle, low place is setting drain valve, no seeper. Continuous monitoring of water quality. Starting time is short, only need about 10 minutes, can produce qualified distilled water. 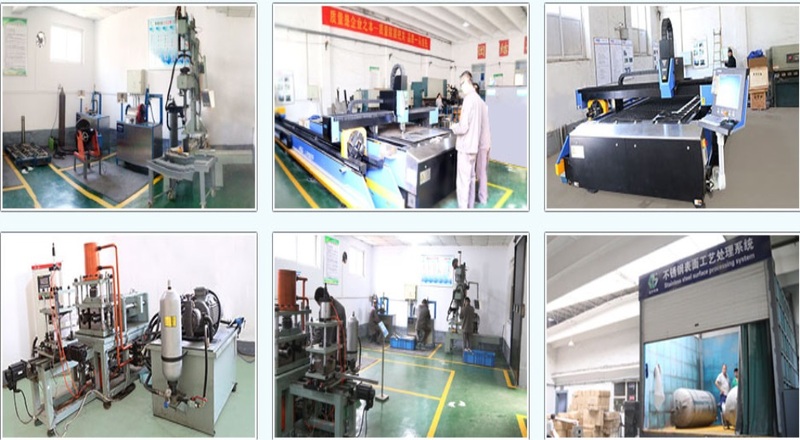 Guanyu Environmental Corp., LTD. has been in the manufacturing business for over 11 years. 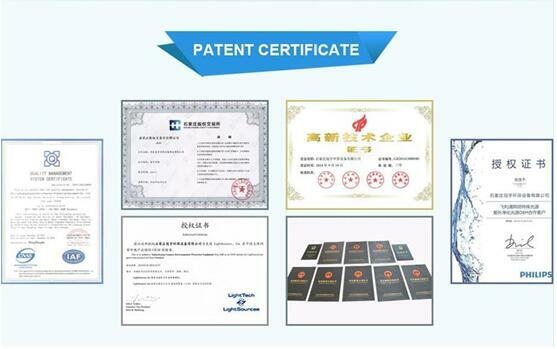 We`re one of the leading manufacturer of Water Distiller and other water equipment in China. If you need service, applications support, tooling or help finding the right machine for your business, get in touch. 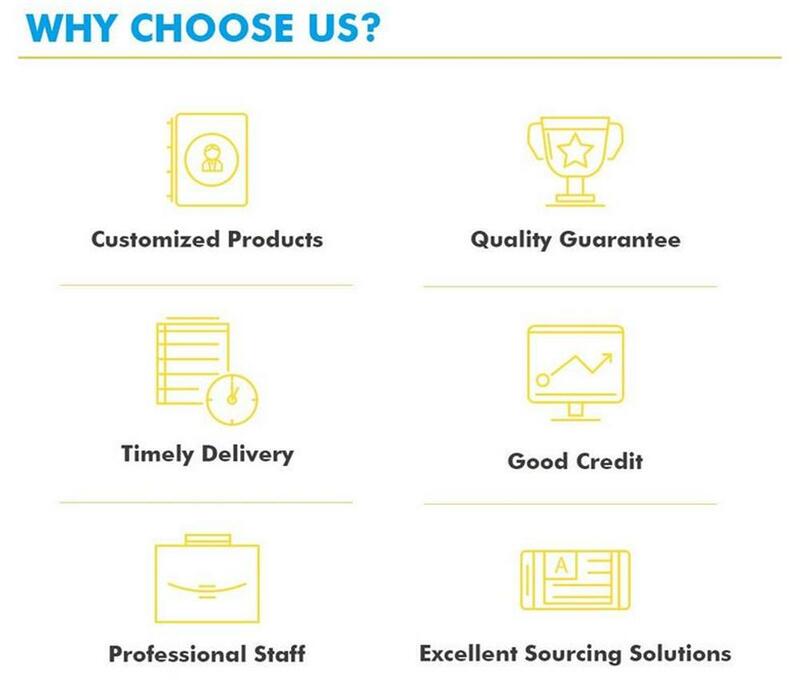 Over the years we`ve served customers needs ranging from housing estate, factories ,Laboratory, Pharmaceutical and chemical institutes to the highly specialized requirements medical and consumer goods. Looking for ideal Chemical Industry Multiple Effect Distiller Manufacturer & supplier ? We have a wide selection at great prices to help you get creative. All the 2000 L/H water distillation Systems are quality guaranteed. 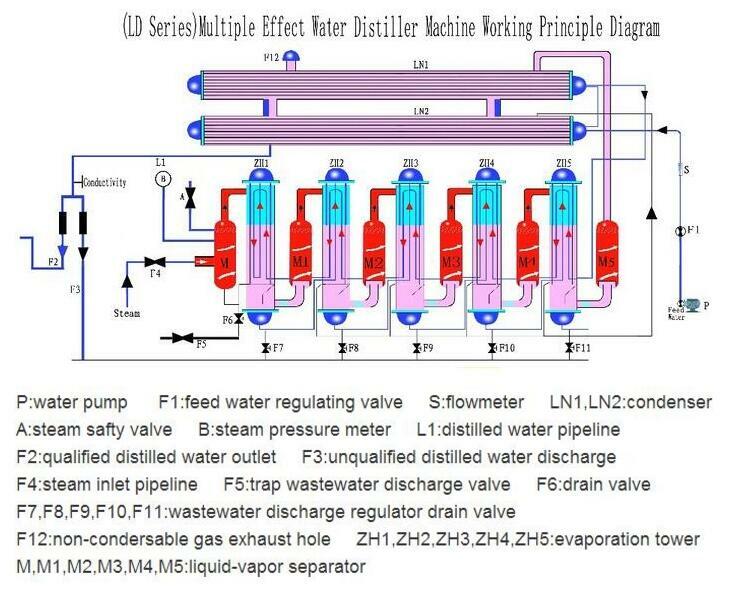 We are China Origin Factory of High Quality Multi-effect Distillation Machine. If you have any question, please feel free to contact us.